Welcome to Buri Spa, your premier massage studio in Manhattan, New York. Unparalleled relaxation and total release are yours when you choose our experienced massage team. Our professional massage therapy practice was created to soothe the people in our busy city when they need extra relaxation. Whether you work in Midtown Manhattan and you need a high-quality massage, or you’re taking a shortcut through Koreatown on your way home, you can’t go wrong with a massage from Buri Spa. Whether you are searching for pain relief or just a quick way to escape it all, we hope you choose us. 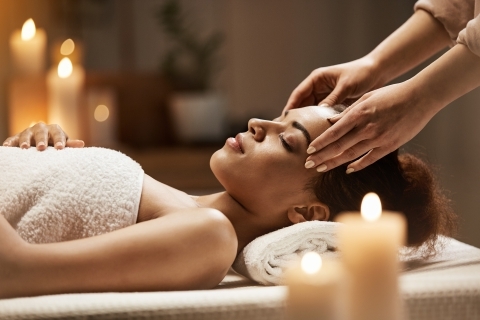 We offer a variety of massage options to address your main points of tension and stress. With massages ranging from traditional Thai techniques to Swedish massage and deep tissue massage, we look forward to helping you unwind. From deep tissue, traditional Thai, romantic couples massages and more. We offer the finest ways to relax in New York. Contact us today. Buri Spa is your premier choice when it comes to finding quality massage services. Reach out now to schedule your appointment. We proudly offer gift certificates so that you can treat your friend, family member, or coworker to a relaxing and rejuvenating spa service. Clean environment and nice service ? Two thumbs up. This is as legit as they come, speaking from many Thai massages on west coast. I’ll be back. Best massage I’ve ever had. Clean place with great energy and professional staff. Highly recommended.